Denison’s Panhellenic Council oversees inter/nationally affiliated women’s organizations, five chapters of which exist on Denison’s campus. 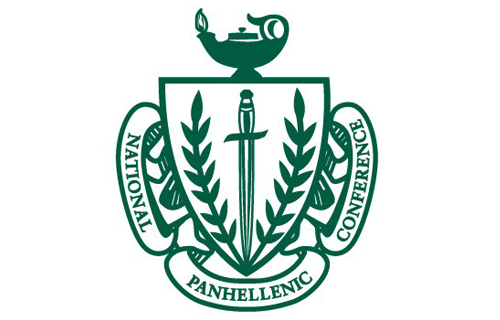 Founded in 1902, the National Panhellenic Conference is one of the oldest and largest women’s membership organizations representing more than 4 million women at 655 college/university campuses and 4,500 local alumnae chapters in the U.S. and Canada. Each year, NPC-affiliated collegians and alumnae donate more than $5 million to worthy causes, provide $2.8 million in scholarships to women and volunteer 500,000 hours in their communities. Provides a good democratic social experience. Gives value beyond college years. Creates, through their ideals, an ever-widening circle of service beyond just membership. Develops the individual's potential through leadership opportunities and group effort. Fills the need of belonging. Learn more about Denison's Panhellenic Council Sororities below.